Functional Osteopathy is a combination of Functional Medicine and Osteopathic Medicine. This therapy was developed by Dominick Hussey, founder of Capital Osteopathy. How is Functional Osteopathy different from other forms of Osteopathy? Unlike other types of Osteopathy that treat your physical body, Functional Osteopathy is also concerned with healing your physiology and mind and how they may be affecting your symptoms. What conditions can be helped by Functional Osteopathy? Chronic or longstanding physical conditions (including lower back, neck pain) that have not responded to other physical treatment including chiropractic, massage therapy, other types of osteopathy, and physiotherapy. Autoimmune diseases such as Celiac Disease, Crohns Disease, Hashimoto's Disease, Rheumatoid Arthritis, and Ulcerative Colitis. Functional Digestive issues including GERD, Heartburn, and Irritable Bowel Syndrome. Behavioral issues including ADD, ADHD, and Hyperactivity. How do Functional Osteopaths Work? Functional Osteopaths work less with their hands than other Osteopathic practitioners. They are trained to understand that if the body is displaying symptoms then they must consider which physical, physiological and emotional factors are the root cause. Functional Osteopathy is very much a partnership in healing and is more about the practitioner guiding the client through a journey towards healing. Whether functional osteopathy is an appropriate and safe treatment to help your problem. If yes, your practitioner will advise any further investigations that are required including lab tests. Treatment at this point will be limited to some general lifestyle modifications. At the follow-up visit, your practitioner will give more extensive treatment advice, and if appropriate begin some hands-on osteopathic treatment. How many follow-up treatments will I need? On average you will need between 6 - 8 treatments. Initial appointments are 60 minutes, and follow-up appointments are 15-30 minutes long but may be longer. What should I wear in appointments? We recommend that you bring a pair of shorts and a sports bra to each appointment. 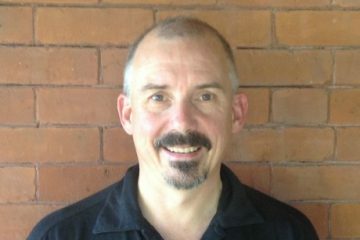 Dominick Hussey, Osteopathic Manual Practitioner, was born and raised in London. He has been practising Osteopathy since 1997.